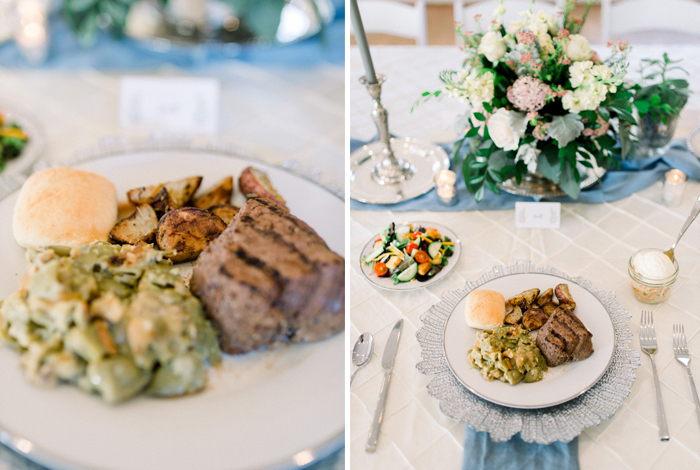 Elegant Rehearsal Dinner at The Sonnet House | Allie + ChanningThe Sonnet House - Wedding and Event Facility in Leeds, AL. 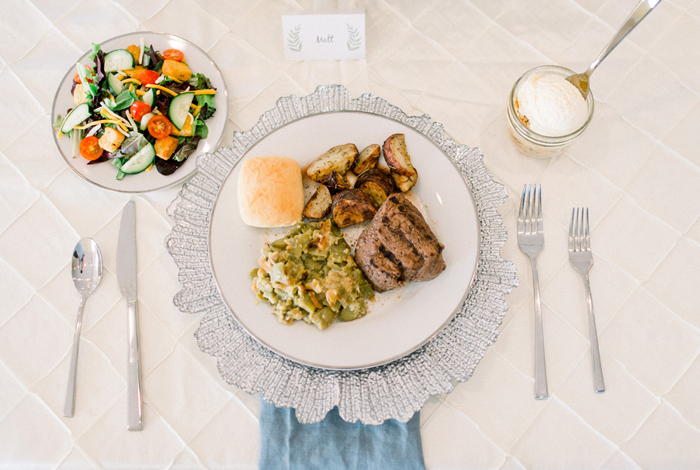 Did you know The Sonnet House offers all-inclusive packages for your after rehearsal dinner? We do! 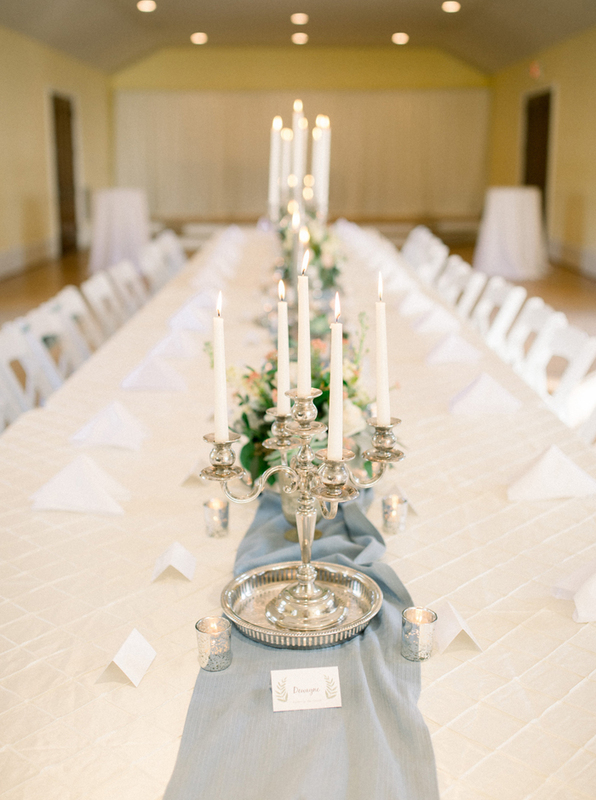 Our standard rehearsal dinner package includes not only use of The Sonnet House and our Chapel but also our back patio and courtyard. So whether you are planning on everything being indoors or everything being outdoors or even a mixture of both we can absolutely take care of your needs. 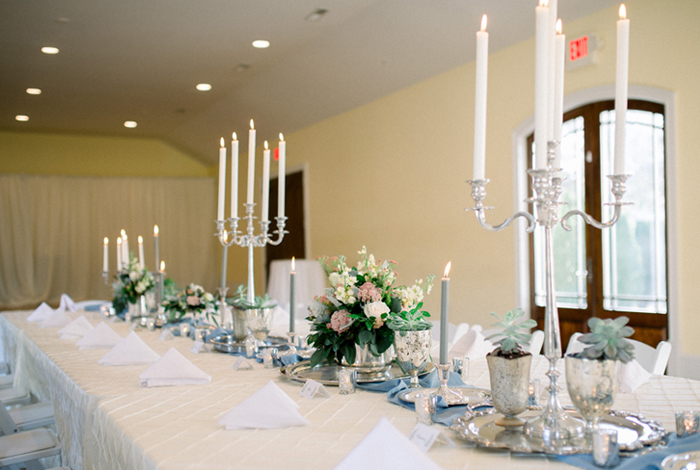 With us providing your tables, linens, chairs, centerpieces and decor, catering, staffing and bar tenders all you need to show up with is a smile. 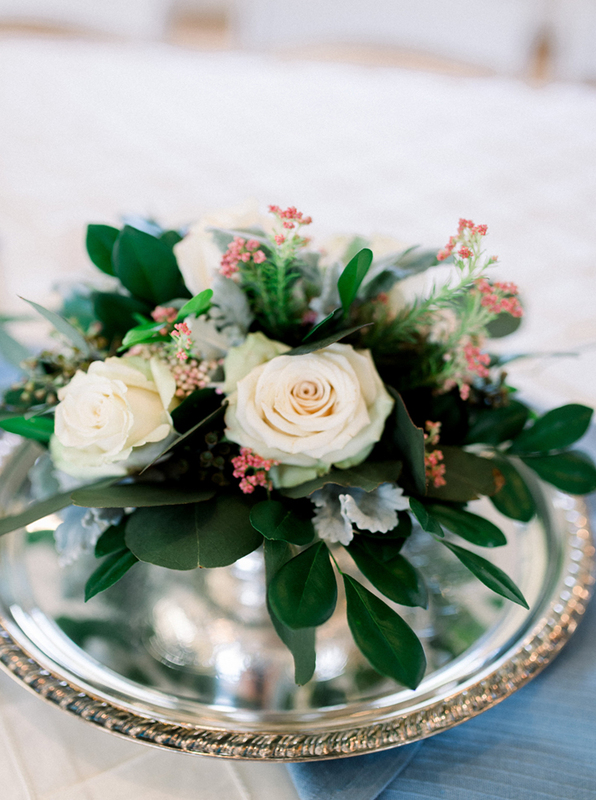 Over the eleven years we have been in business we have learned that the less our clients have to worry about the more likely they are to enjoy the event as a host. 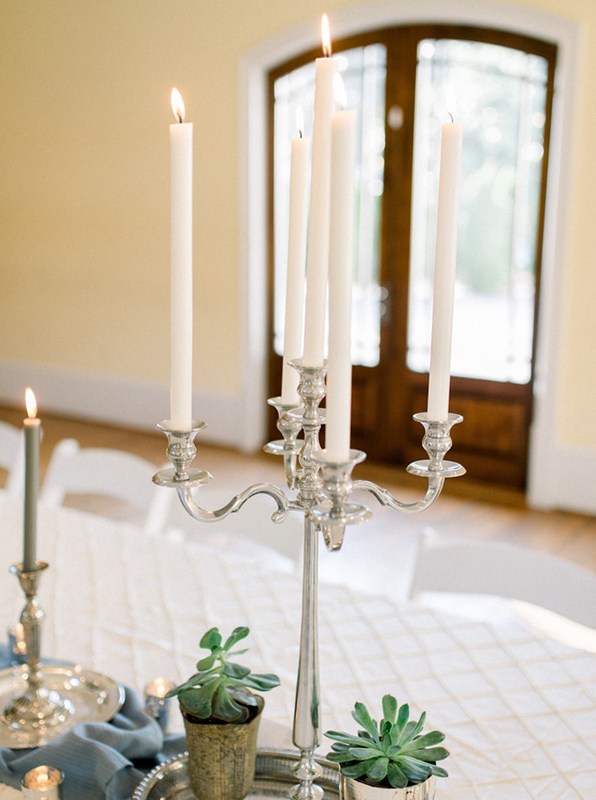 Allie + Channing also held their ceremony and reception at The Sonnet House so it was also a great chance for their families and bridal parties to become familiar with The Sonnet House prior to the big day. After the “work” of rehearsing was done, the couple greeted guests in our courtyard for an abbreviated cocktail hour. 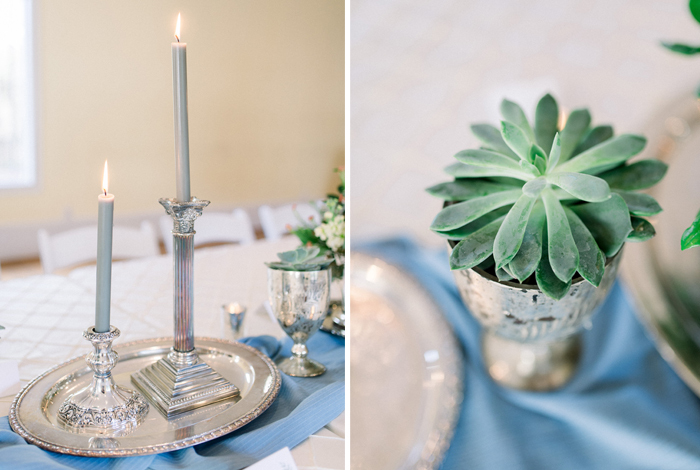 When it was time to be seated, guests began their dinner with a pre-placed house salad. The main course included an 8oz. petite filet, green bean casserole, and roasted nu potatoes along with dinner rolls. 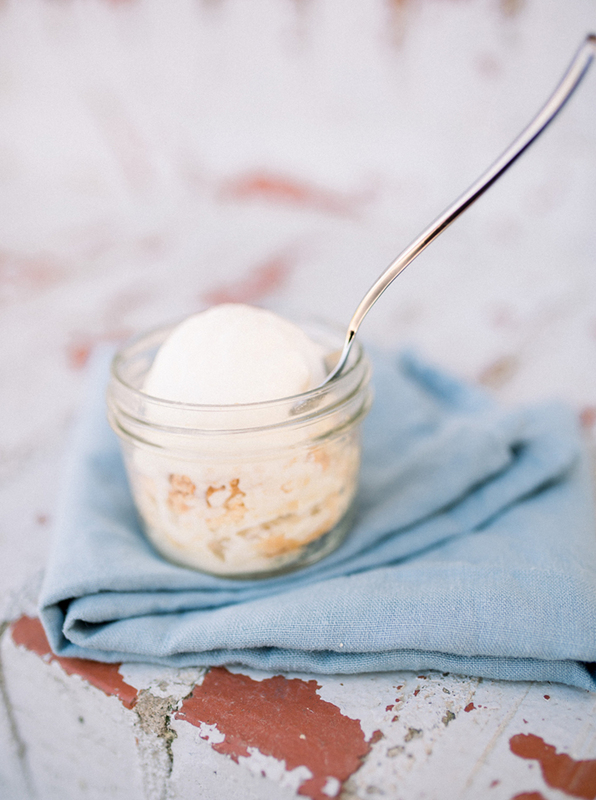 Dessert was a treat of peach cobbler complete with Allie’s favorite, vanilla ice cream, served in our mini mason jars. During the planning process, before they had even done their tasting, Allie made it clear that peach cobbler wasn’t the same without vanilla ice cream. 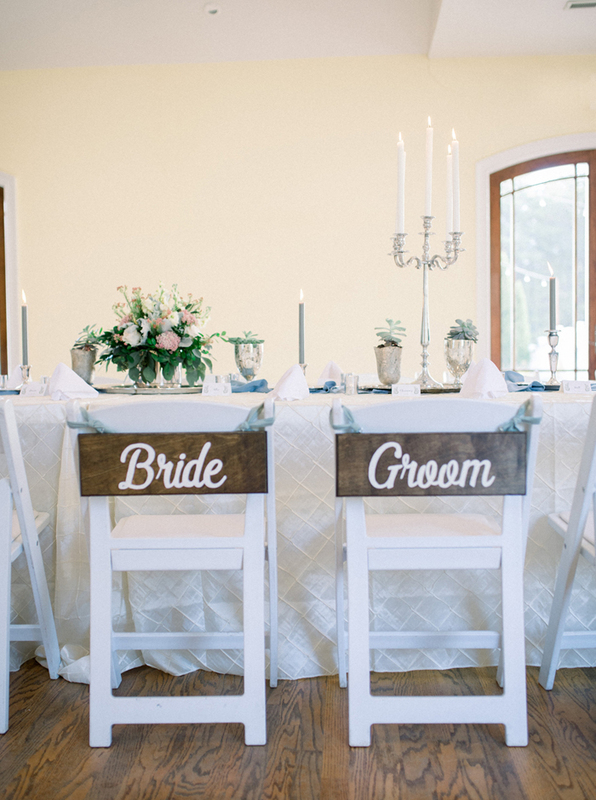 Since a majority of their guests attending the rehearsal dinner were family (or might as well be), Allie + Channing opted for family style seating and we loved the ambiance of everyone being able to sit together versus spread out at separate tables. 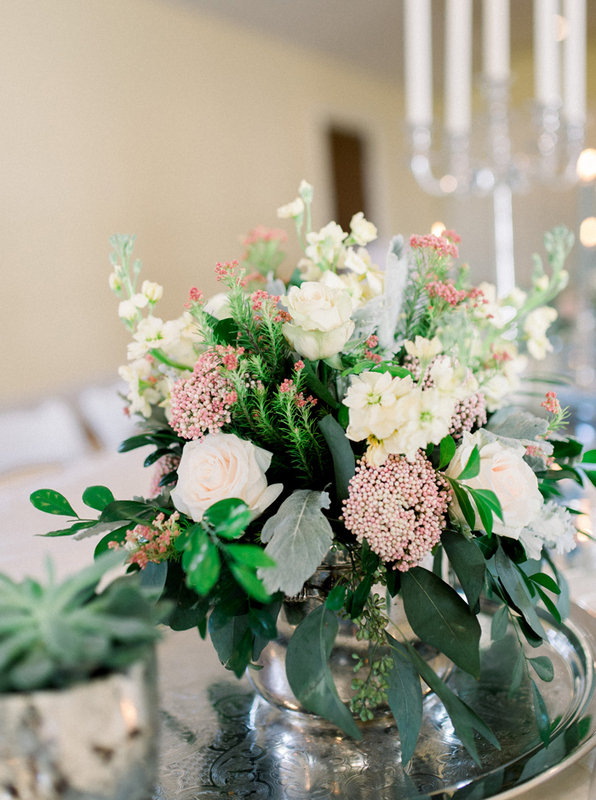 Corey Daniel Florals used a mixture of heirloom silver trays, goblets, and candelabras along with masculine, lush greenery and textured pink and cream blooms that lined the dinner table from end to end. 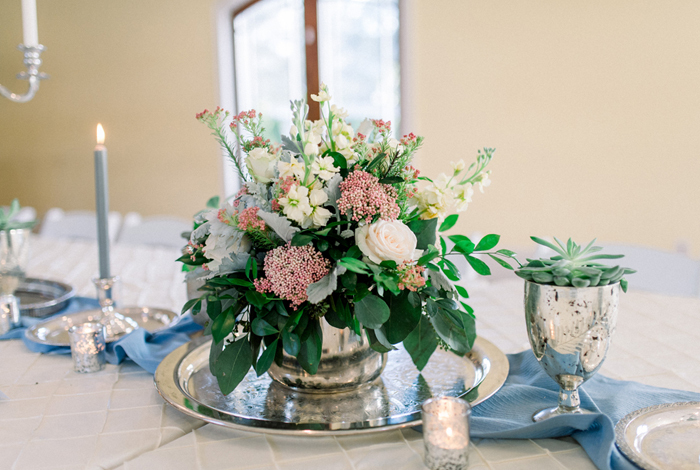 Julie Johnson of Piper Vine Photography documented the rehearsal dinner beautifully for us and we are always excited to have the chance to work with her. 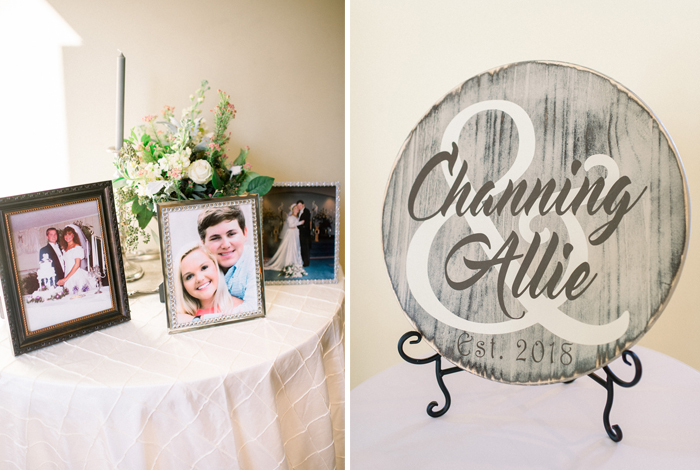 She was also the wedding photographer and we cannot wait to share Allie + Channing’s stunning wedding photos very very soon.